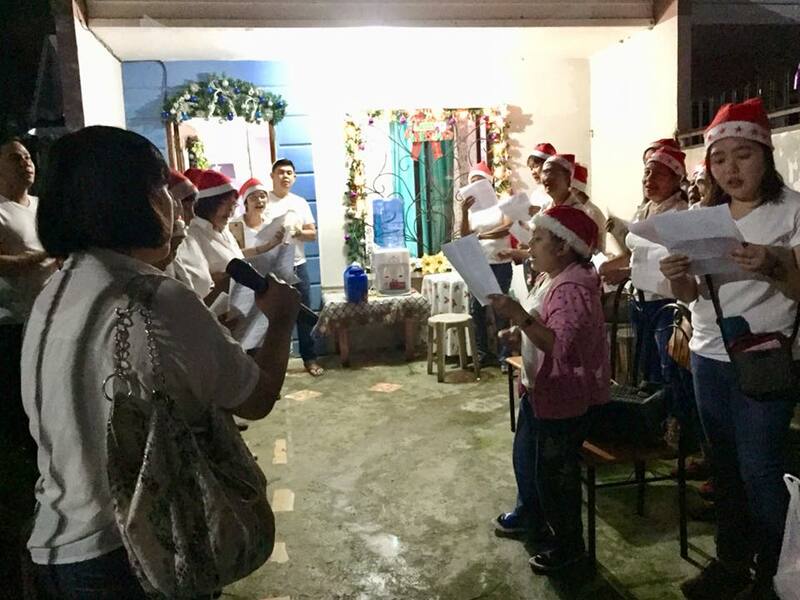 It is believed that the first Christmas Carol started in Europe way back 4th and 5th century and although it has changed in the years, it still remains a true tradition around the world and of course, Etab is not exempted. 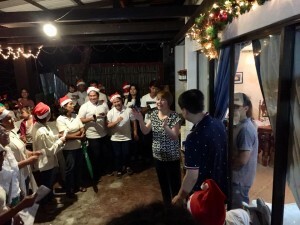 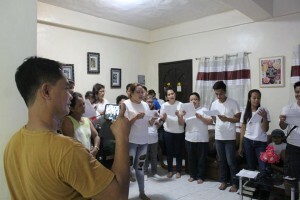 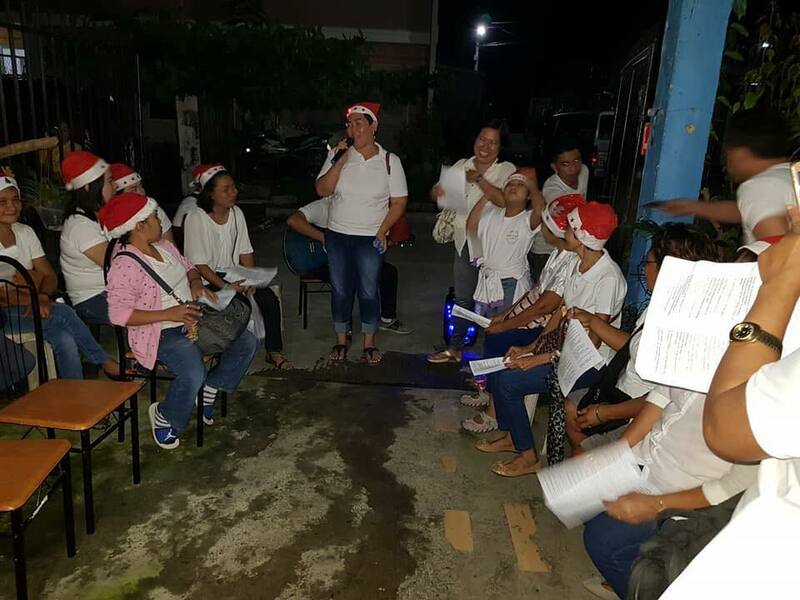 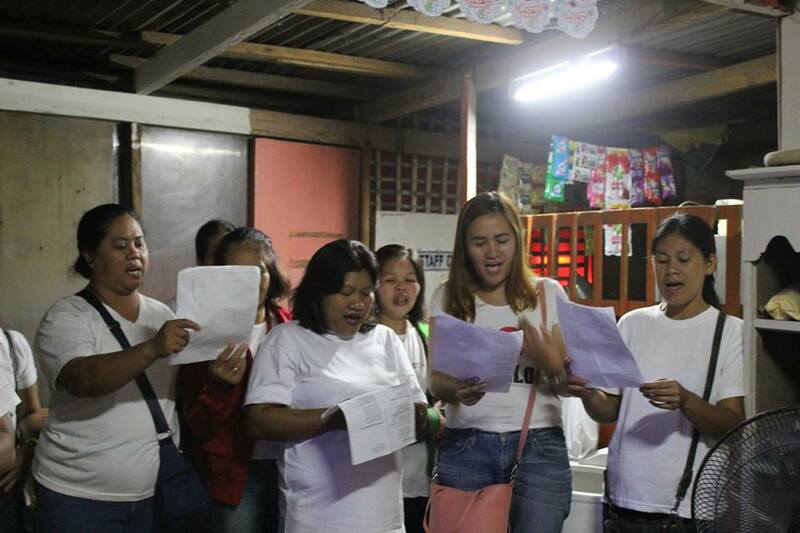 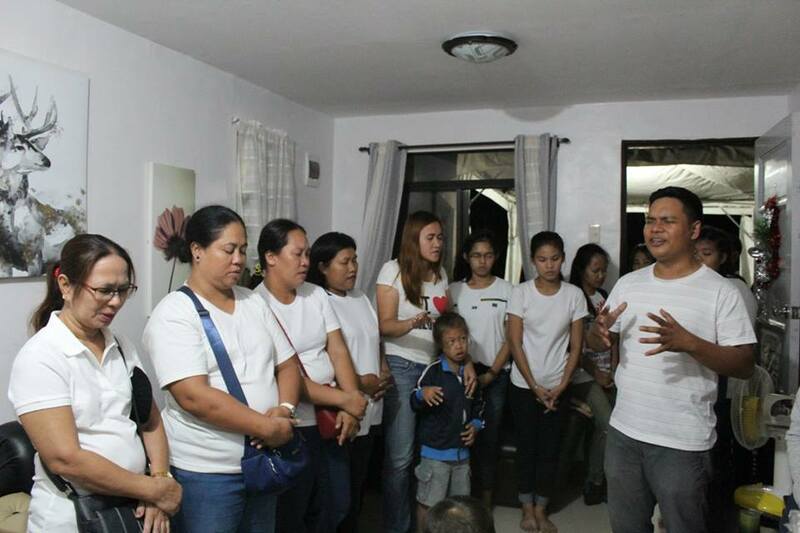 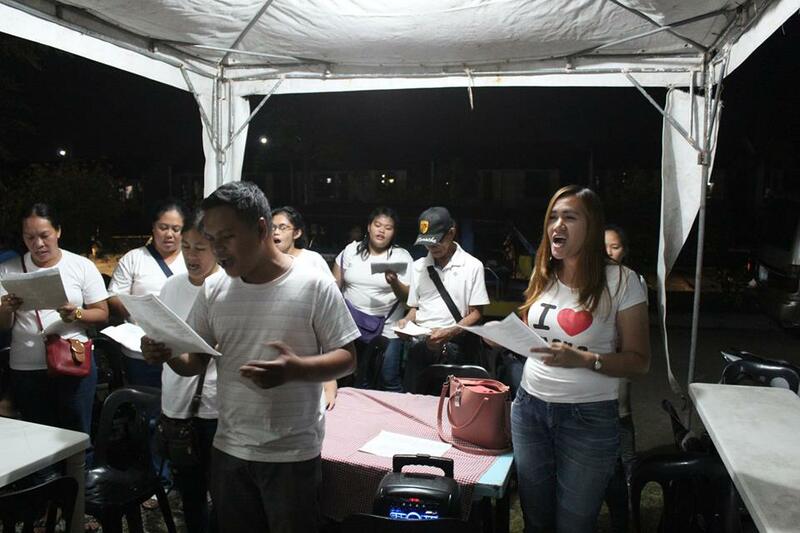 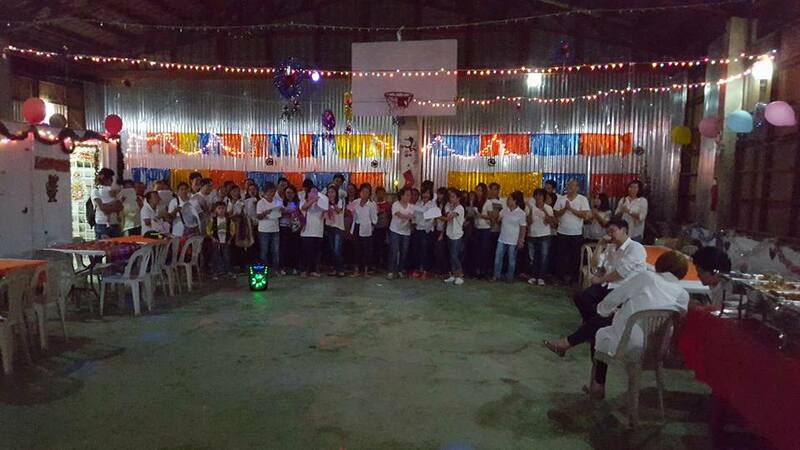 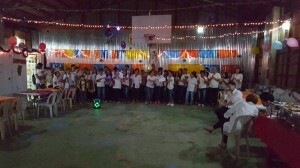 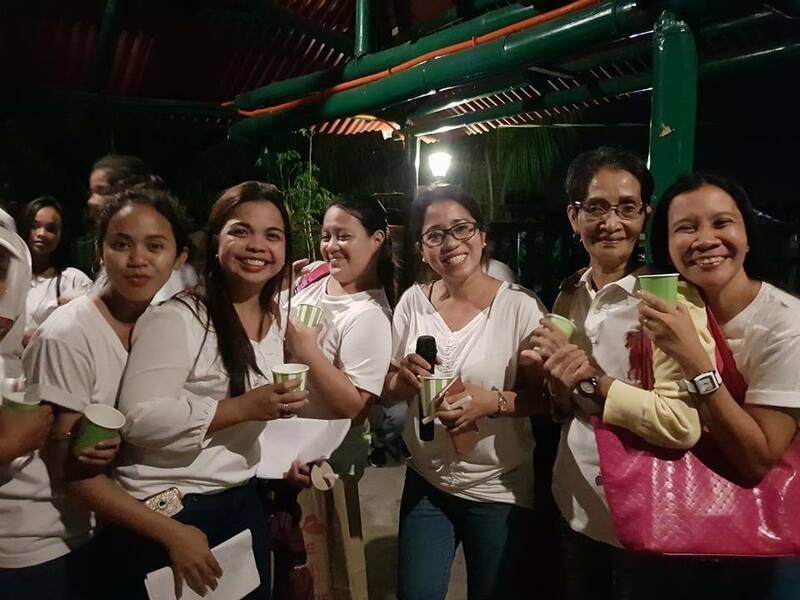 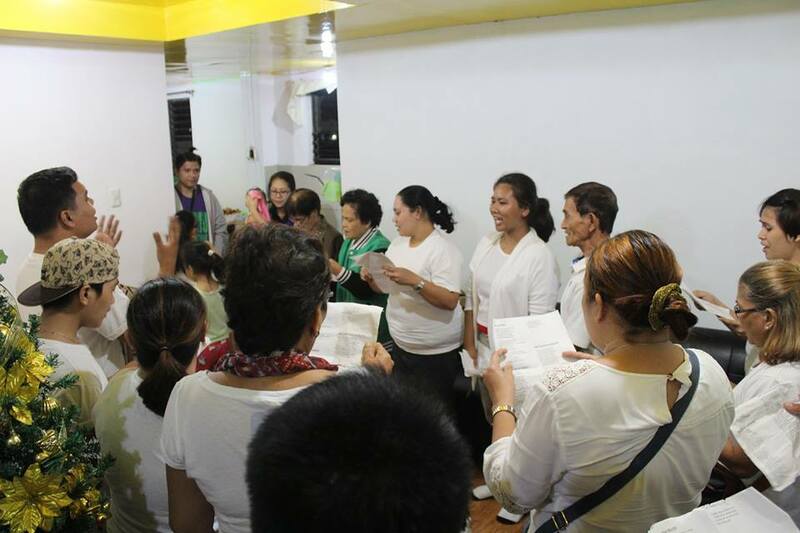 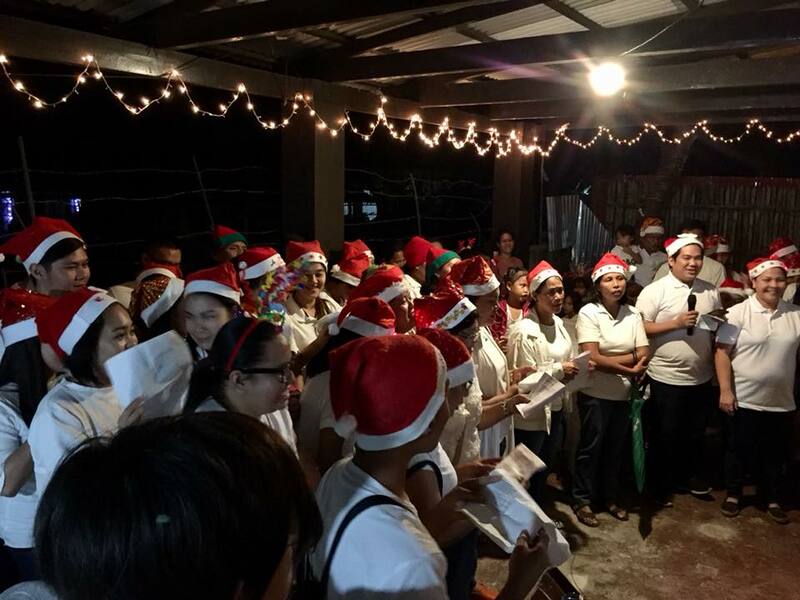 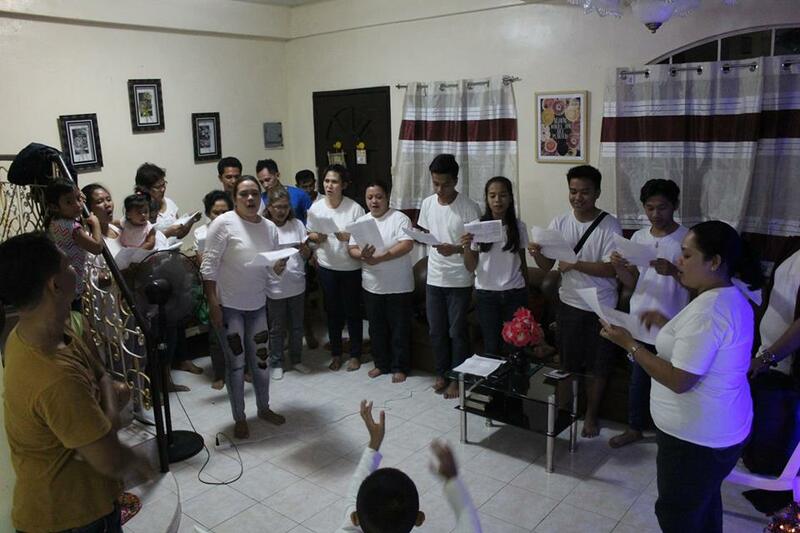 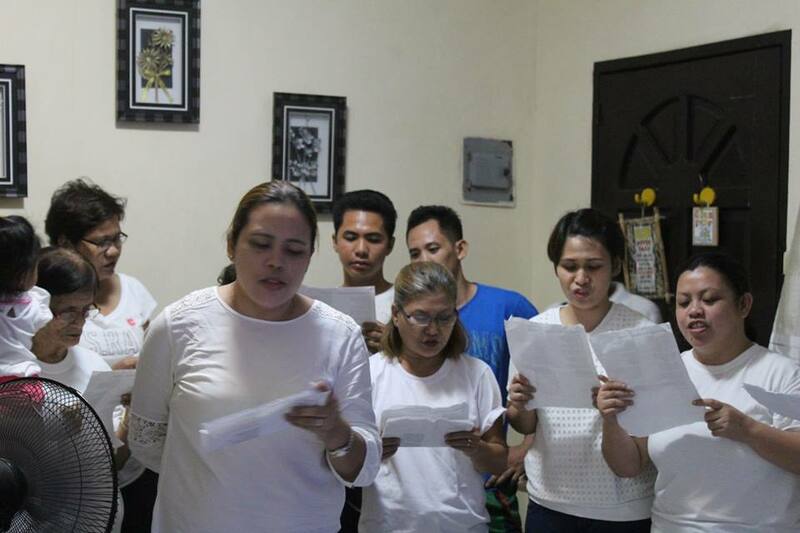 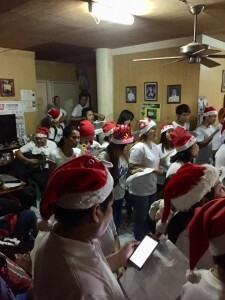 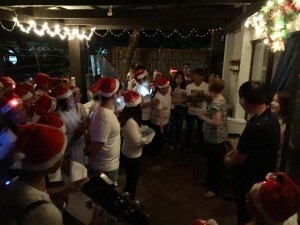 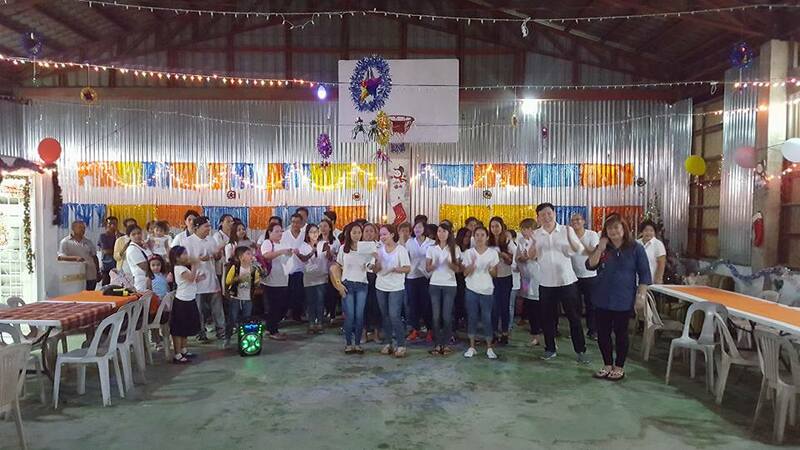 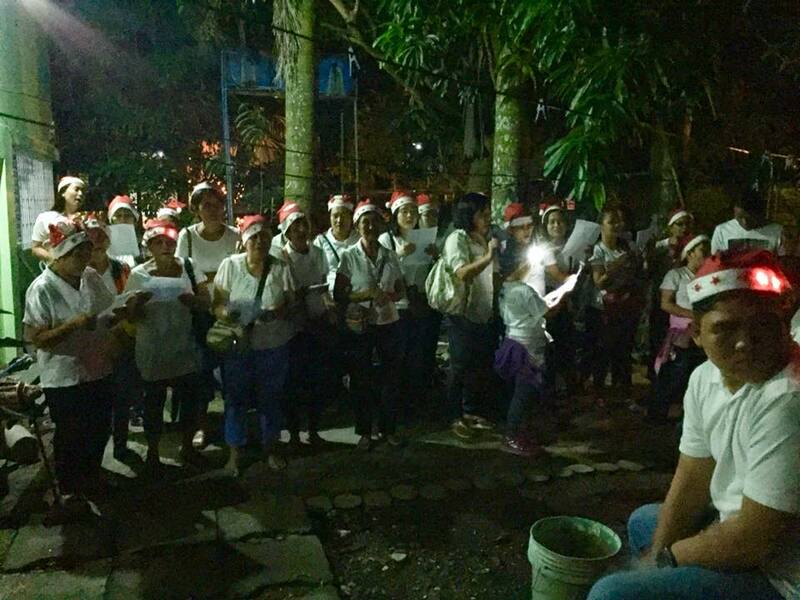 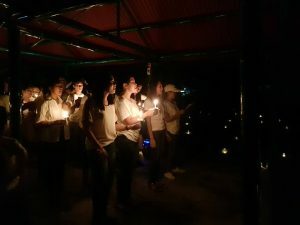 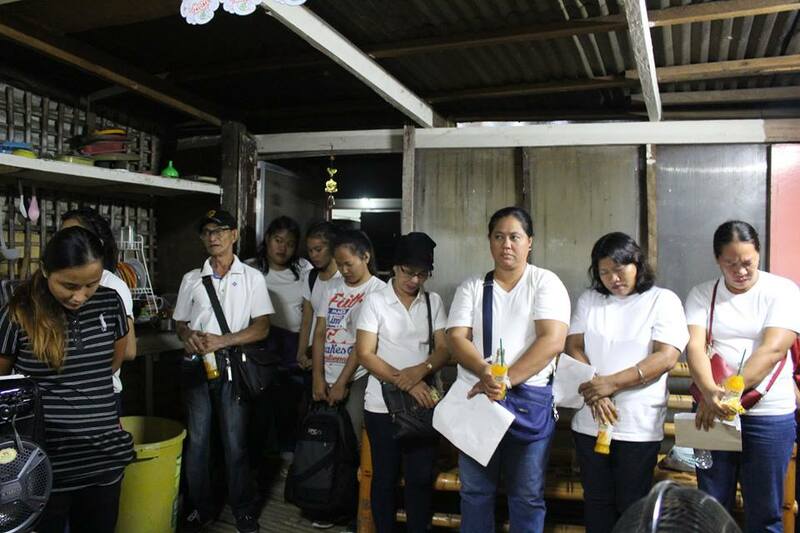 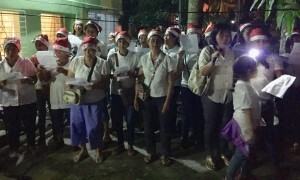 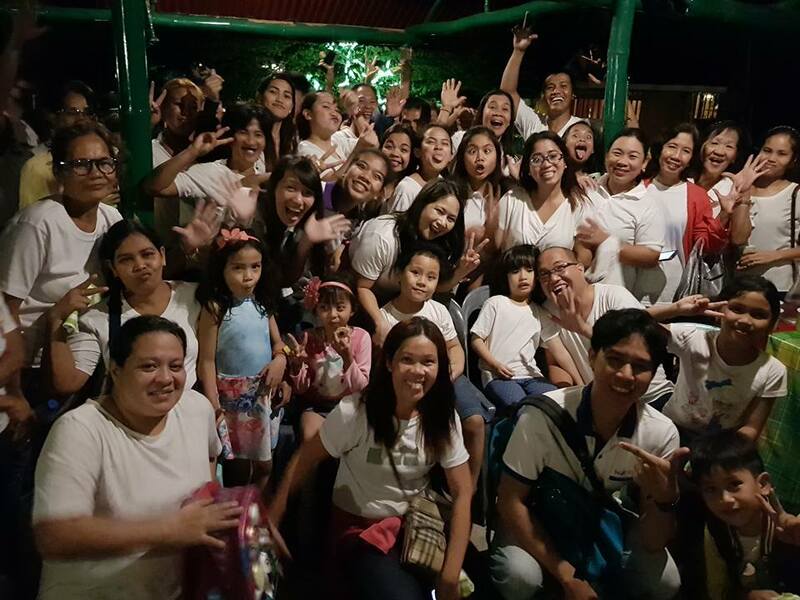 This year, the zonal caroling made its way back to the church’s year end activity after it went for a hiatus of 20 years. 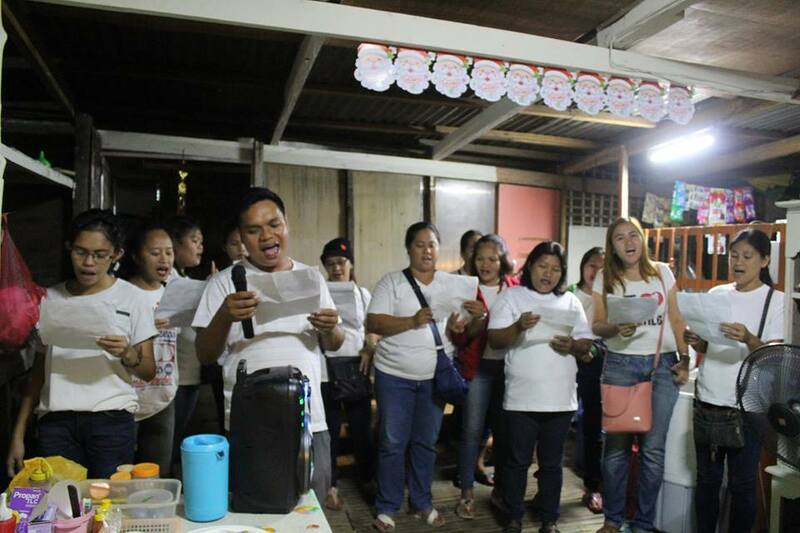 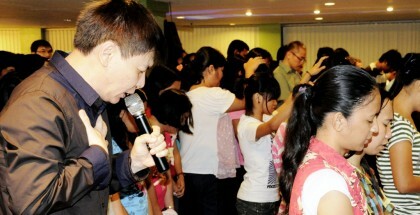 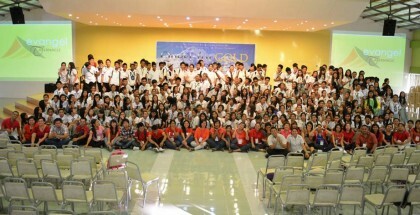 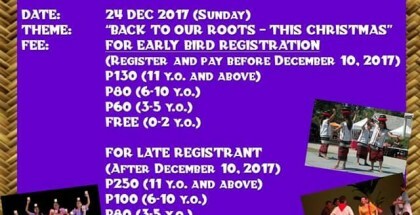 This is the church’s initiative to spread the spirit of Christmas through hymns and songs. 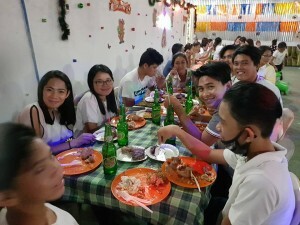 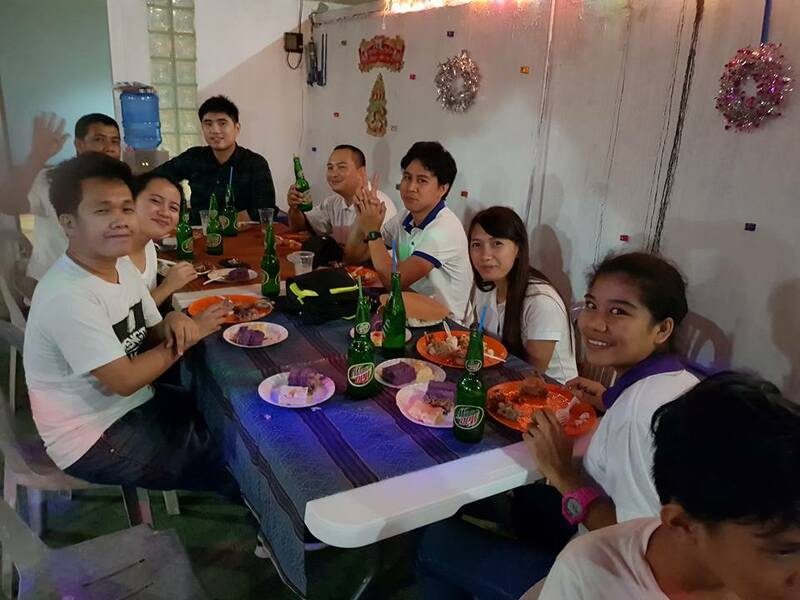 The different cell groups of zone leaders Pastors Carlos, Carlyn, Ephraim and Anelene, and Bro Rolan and Sis Maricel went house after house to tickle the ears and melt the hearts of the hosts with Christmas songs. 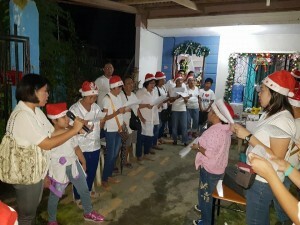 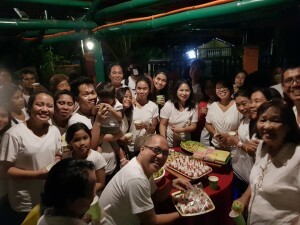 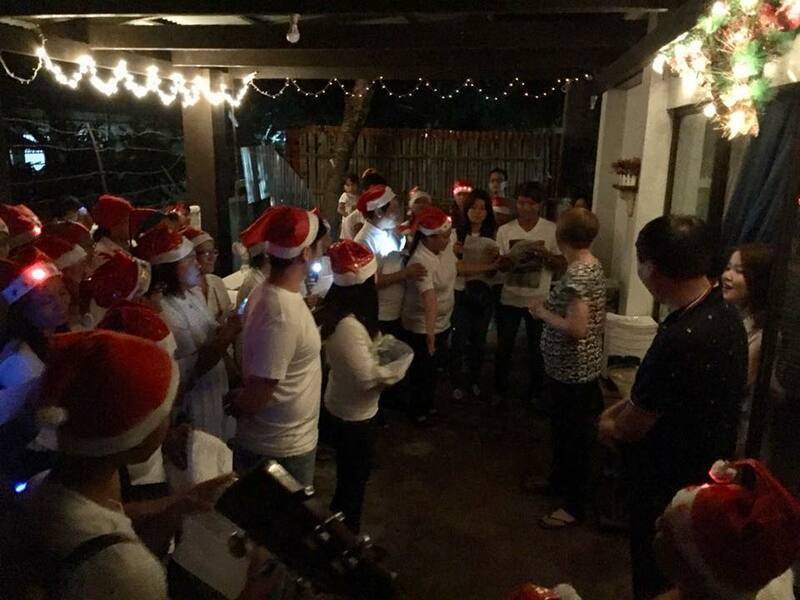 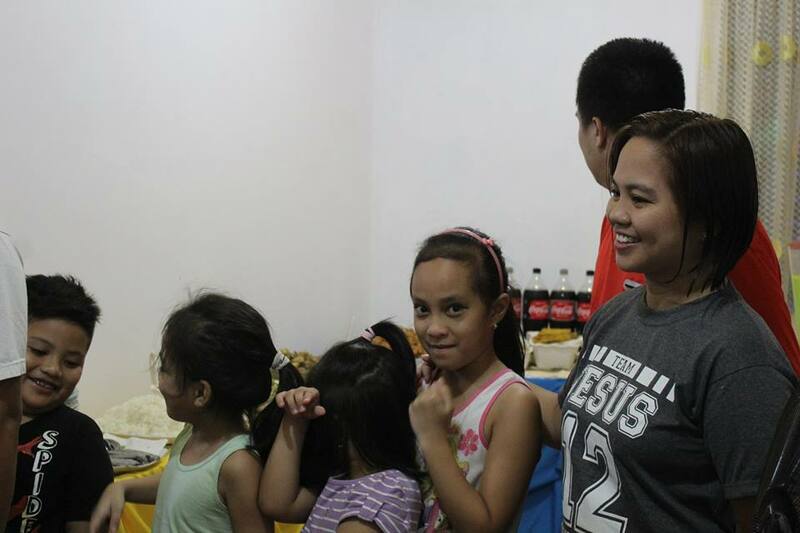 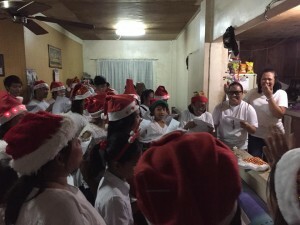 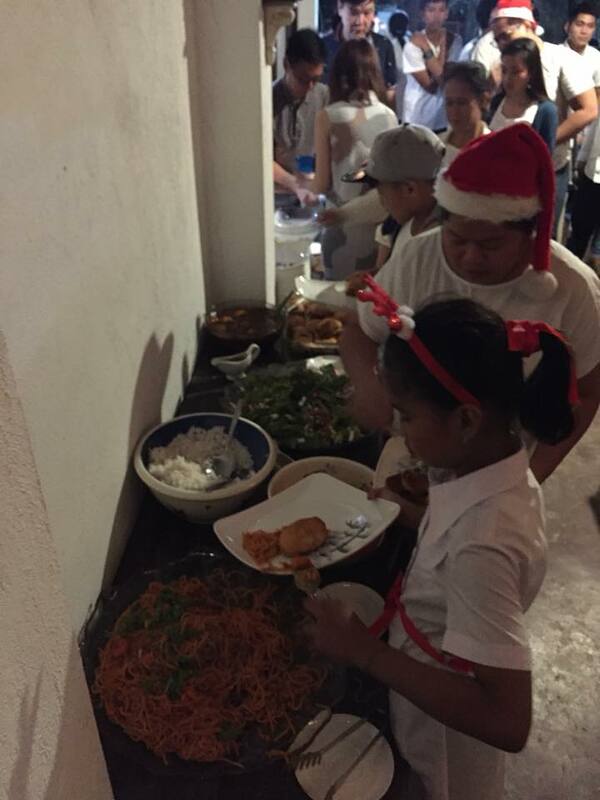 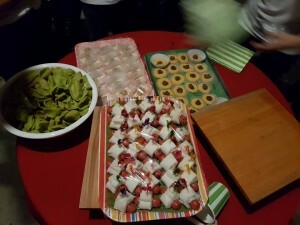 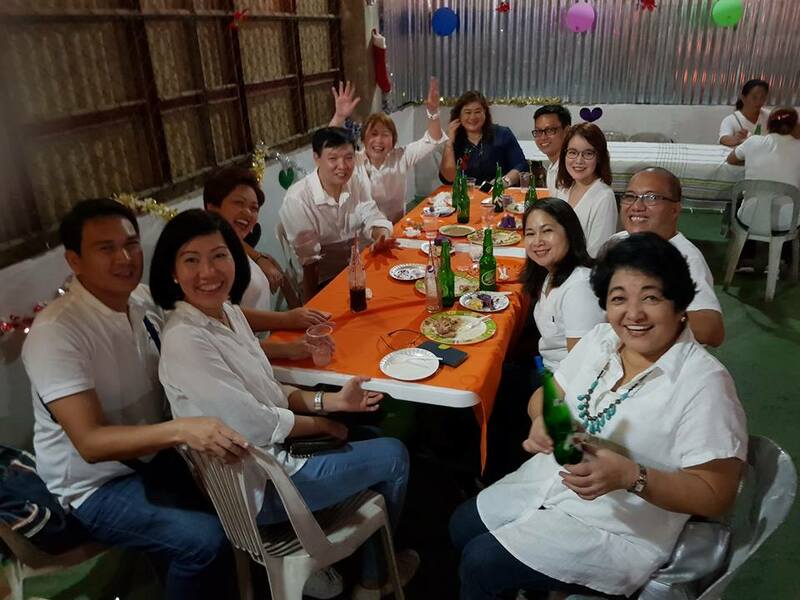 Ten host family were hospitable and generous enough to open up their houses for caroling but instead of monetary exchange, the host prepared light snacks or dinner as a treat for the carolers. 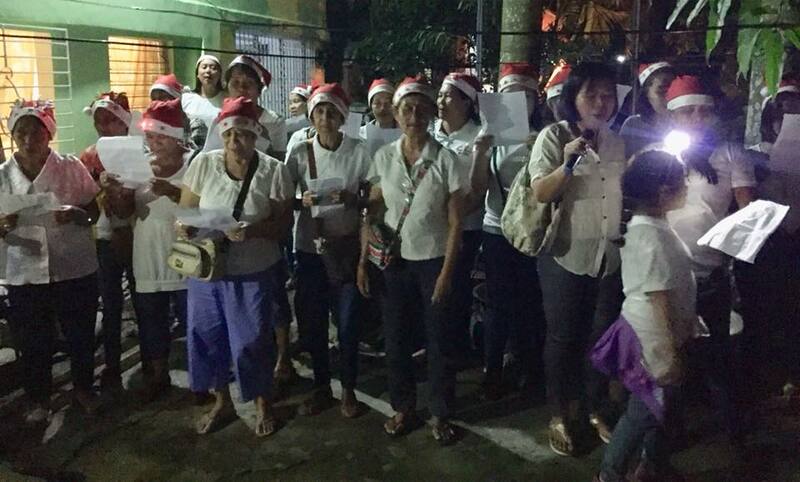 Specifically, Pastos Ephraim and Anelene’s caroling team had 61 carolers. 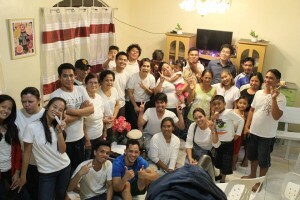 They all wore white t-shirt and blue pants. 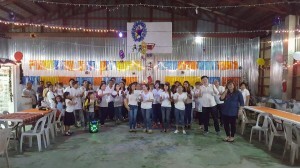 The team prepared a medley combining 4 songs (both English and Tagalog) plus a short dance number. 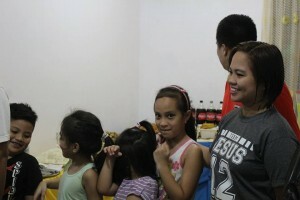 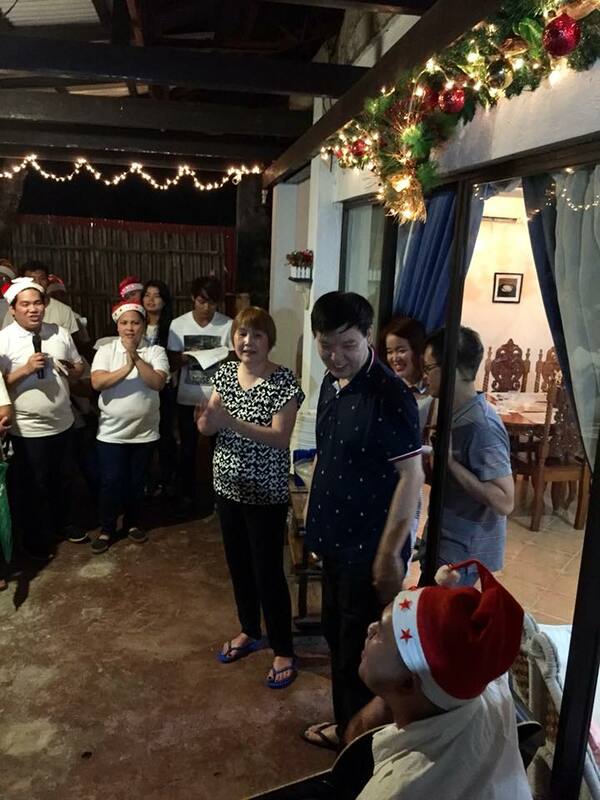 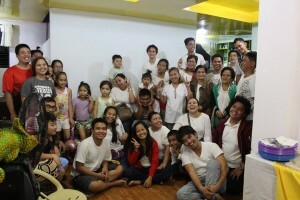 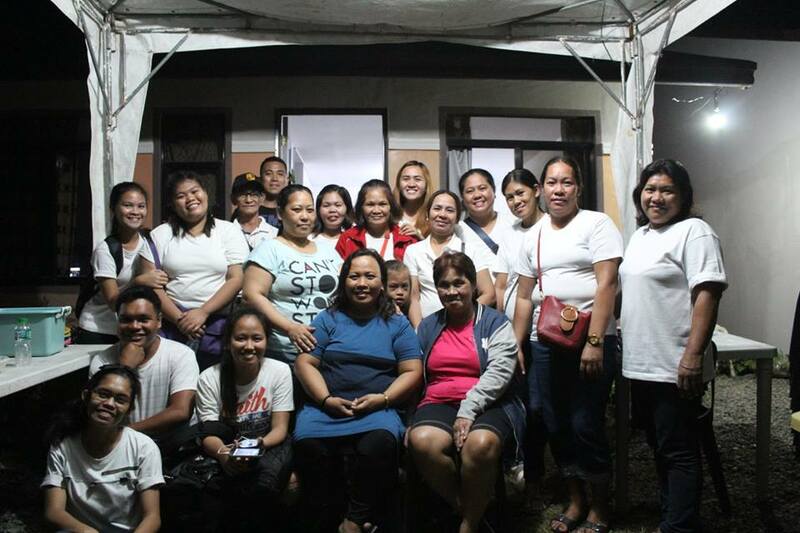 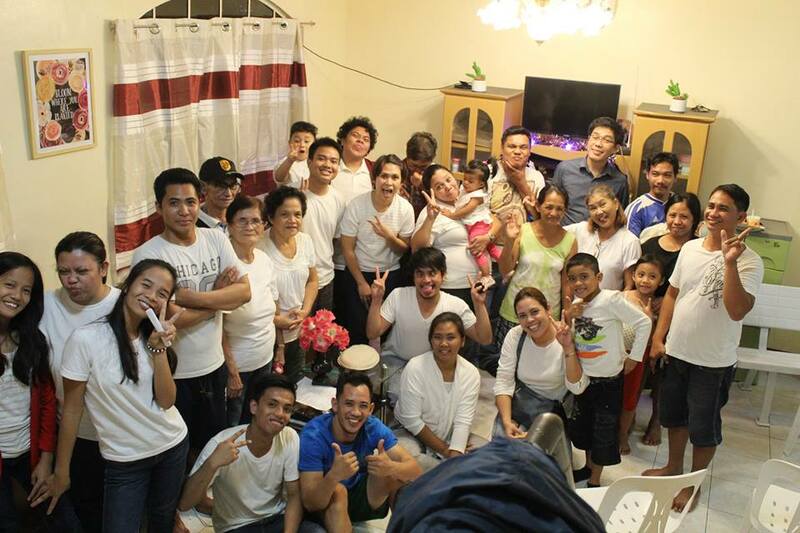 At 6 pm they made their way to the first house at Parale’s residence in Zarraga. They were greeted with a typical house in the province surrounded with green scenery. 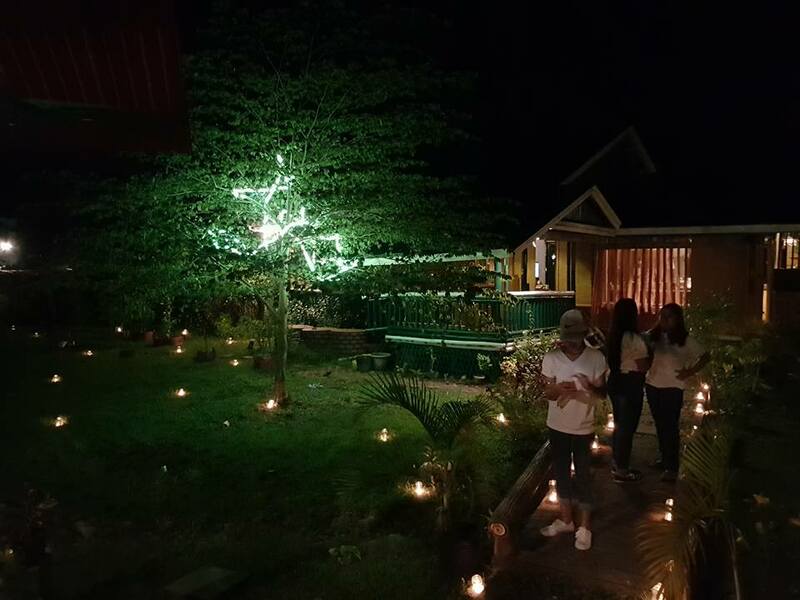 The Parales even lighted their lawn with candles to make it sync with the candle lighting ceremoney. 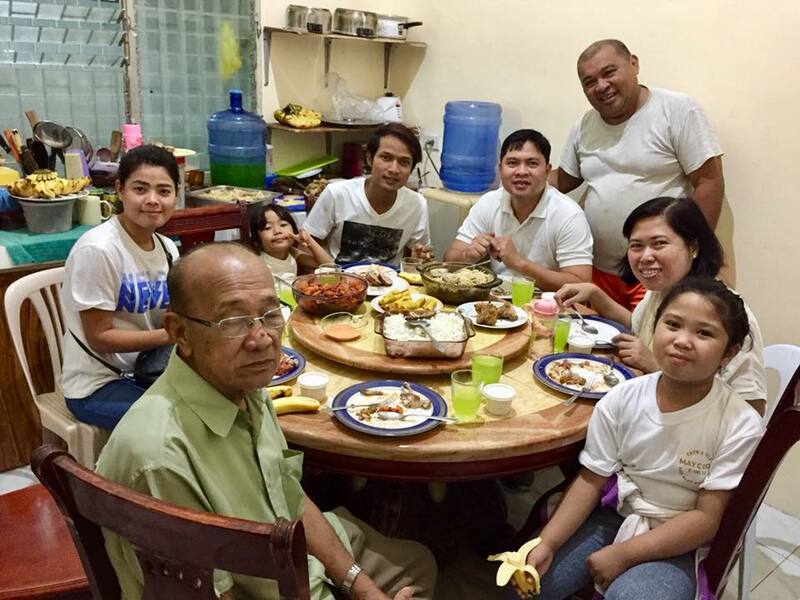 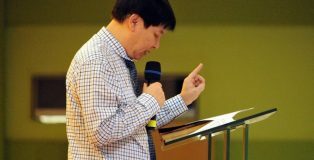 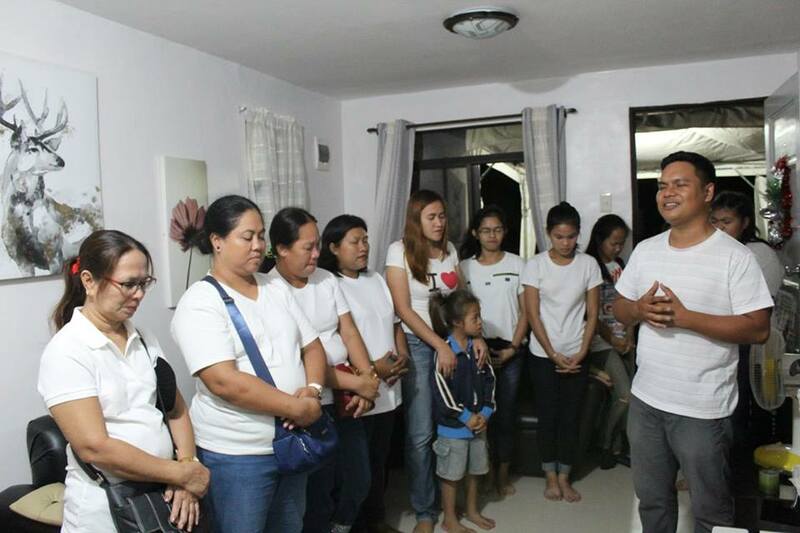 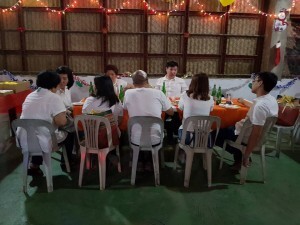 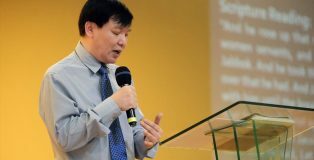 After which, they then headed to the Yap’s residence where our very own Senior Pastor’s Toh Nee and Lily and their daughter Joy and husband Ben were waiting. Everyone gave their best shot for the final performance knowing that the delicious lechon was the prize. To sum it all up, everyone had a wonderful time of fellowship, may it be from the meeting, practice sessions, cooking and preparation, during and even after the meal. 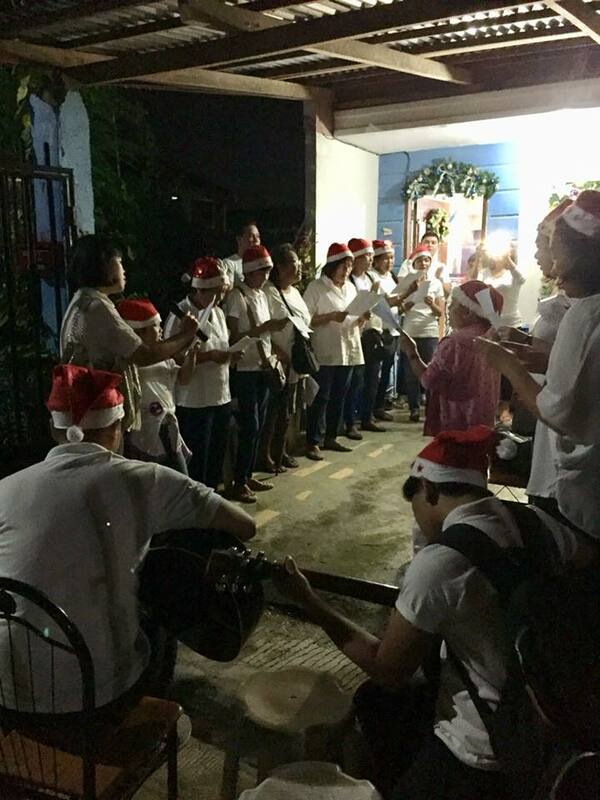 In this sense, we not only practice unity but remember the very reason for the season — Jesus’ birth.